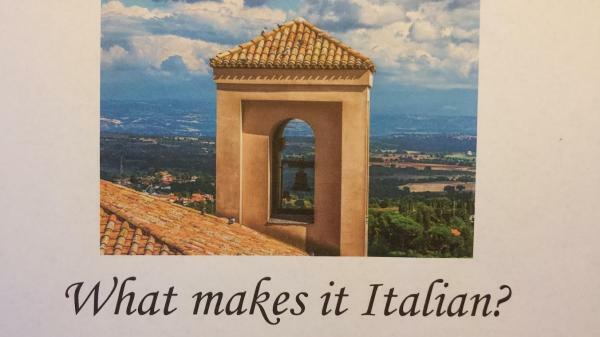 What Makes It Italian is a music listening and discussion group that meets at Casa Italiana and is open to everyone. Reservations are recommended: email ginacrusco@gmail.com. How can we define the elusive quality of “Italian-ness” in music? In this discussion group we give voice and vocabulary to our intuitions about Italian music, both instrumental and vocal. We listen to music from the sublime Palestrina, pinnacle of the Italian Renaissance; through Monteverdi, Lulli, Cherubini, Puccini, Respighi and more; to John Corigliano and our modern world, naming Italian characteristics and asking whether they stand the test of time. Led by Gina Crusco, who also guides listening at the Riverdale Y, formerly music instructor at The New School and director of Underworld Productions Opera. This group is free and open to the public without regard to participation in the earlier series. Attendance at all meetings is encouraged, as the discussions are cumulative. Reservations are recommended: email ginacrusco@gmail.com.